USA DeBusk streamlines exchanger turnarounds with true blind-to-blind service, greater efficiency and consistent quality. 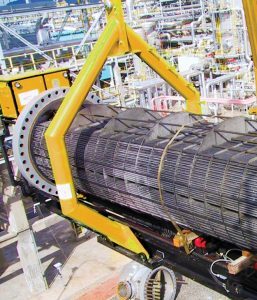 Highly experienced teams, a modern full-capability equipment fleet and total service integration enable us to deliver maximum safety, quality and efficiency for any exchanger turnaround. USA DeBusk combines the work of multiple contractors into a single resource with full ownership of the exchanger turnaround process. For the first time, plant operators can have one point of contact with a specialty service provider that manages and optimizes every aspect of the turnaround. There is no limit to the size and scope of exchanger turnarounds USA DeBusk can handle. Our new, state-of-the-art equipment fleet includes the world’s largest bundle extractor. Any cleaning and mechanical services needed are fully integrated into the process. The entire process is planned and executed by managers and field service teams that lead the industry in experience and skills.  From pre-turnaround planning to bolting the final bundle, USA DeBusk provides true blind-to-blind service with full project management, execution and tracking. USA DeBusk provides complete slab management to assure efficient work flow, coordination with third-party testing, quality assurance and documentation of all work performed. The USA DeBusk equipment fleet includes extractors ranging from 20 metric tons to a massive 125 metric ton aerial extractor for exchangers up to 137 in. OD. This accommodates capacities up to 275,000 lb and assures USA DeBusk can handle any exchanger bundle in the world. Every detail was considered in specifying new machinery, down to environmentally safe transportation equipment with spill-prevention devices. 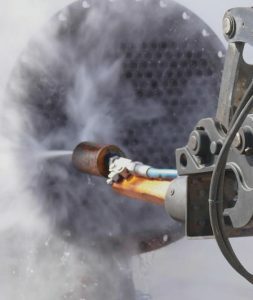 Once exchangers are on the slab, an array of automated tube and shell side hydro blast equipment may be used, as well as advanced chemical cleaning systems. The leadership team for the Blind-to-Blind Specialty Bundle Extraction group includes top experts in the field with almost a century of combined experience in bundle extraction and mechanical services. They are joined by a highly qualified support and field organization with veteran project supervisors, certified bundle extractor operators and expert craftsmen and technicians. Extractor fleet for all needs (including largest extractor in the U.S.